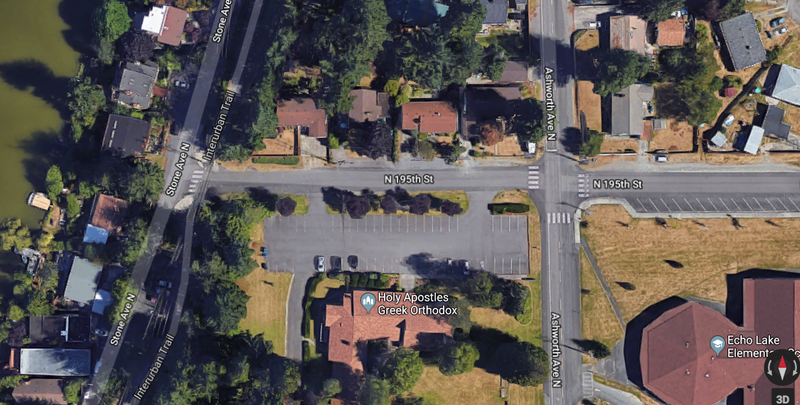 A new sidewalk will be constructed on the south side of N 195th St to fill the gap between Stone Ave N (Interurban Trail) and Ashworth Ave N.
The sidewalk will connect the Interurban Trail to Ashworth Ave N, Echo Lake Elementary, east to the 195th Trail, and continuing on to the I-5 pedestrian bridge. Eventually, a trail will continue to the 185th Shoreline North light rail station. Construction will begin in October with completion in December.